If you are interested in getting Italian Dual Citizenship, you need to ask yourself: do I qualify? 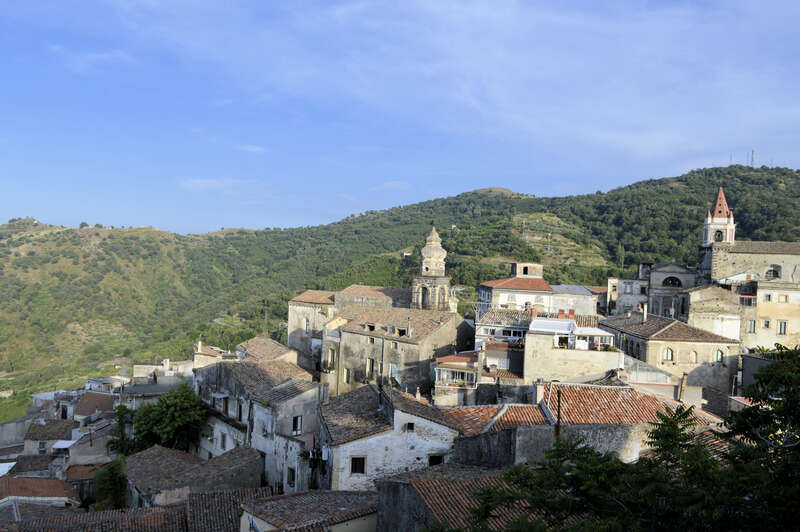 My Italian Family, a company specializing in family research and Italian dual citizenship services, helps us understand how you can be eligible for an Italian passport. Having an Italy-born Ancestor is one of the requirements, but sadly not the only one; the good news is that there is no limit in the number of generations you can go back, as long as your Italian Ancestor migrated away AFTER Italy became a nation, on March 17, 1861. So, you know that your nonno or bisnonno (paternal and/or maternal) was born in Italy, that’s great, but now you must prove that Italian citizenship was passed down generation after generation without any interruption. How? First, you have to find out when and if your Italy-born Ancestor ever became a citizen of the U.S. or another foreign country. Why is that important? Before 1992 there was no such thing as “dual citizenship”; if your nonno became a naturalized U.S. (or other country) citizen, he would have literally “renounced his Italian citizenship”. That’s why it is so important to know when your Italy-born Ancestor took the Naturalization oath of the United States or any other country. If he or she did it BEFORE the birth of the son or daughter here in the U.S. (or other country), then you do not qualify because the Italian citizenship was “interrupted”, i.e. your nonno’s descendant was born to a U.S. citizen who no longer was an Italian citizen. Example: if your paternal grandfather became a naturalized U.S. citizen AFTER the birth of your US born father, you qualify; however, if your paternal grandfather became a naturalized U.S. citizen BEFORE the birth of your father you do not qualify. That’s how the transfer of citizenship got interrupted. There are instances where your Italy-born Ancestor NEVER naturalized which is also great news; documentation proving this (i.e. Letter of Non-Existence + Certified copies of Census records) will have to be provided. - If your Italy-born Ancestor naturalized prior to July 1st, 1912, you do not qualify for Italian citizenship, even if his or her child was born before this individual naturalized. Prior to this date, when a native-born Italian naturalized in another country, he gave up not only his own Italian citizenship, but also that of all of his minor children, regardless of where they were born. This is the law and there is no way around it. - If you are applying through your maternal line, you need to know that the current law granting Italian citizenship jure sanguinis states that women could hold but not pass citizenship to children born before January 1, 1948, the date Italy became a Republic. For example: if you are applying through your maternal or paternal grandmother, then your mother or father had to be born AFTER January 1, 1948 for you to qualify (assuming your maternal grandmother became a U.S. citizen after the birth of your mother or father, or never became a U.S. citizen). If that’s not the case, you may file a motion to appeal the "1948 Rule" through the courts in Rome and obtain, if eligible, Italian citizenship. - If your Italy-born Ancestor migrated abroad as a “minor” you most likely won’t qualify for Italian Dual Citizenship. Until 1976, the age of majority in Italy was 21. Minors who emigrated would naturalize concurrently with their parents. If your ancestor was a still a minor when his or her parent naturalized, it is likely that he/she also was naturalized at the same time. You will need to provide proof/appropriate documentation if this individual was naturalized at a later date. The path to Italian Dual Citizenship is not an easy one; you must document every single vital event, i.e. birth, marriage, death and, if applicable, divorce/s for each family group between you and your Italy-born Ancestor; failure to do so may make you ineligible. For instance, if a marriage record cannot be found, it will be much harder to prove the continuity of your lineage. It was not uncommon in the early 1900s to only marry in church and not to record the civil marriage. Although it is a disqualifying factor, additional documentation may be supplied, but it’s ultimately up to the Italian Consulate to decide whether to accept your application or not. The key to the whole process is “information”; the more accurate information you have, the easier the process becomes. All in all, discussing your options with a professional is quite helpful in getting your questions answered and clarifying the eligibility “quiz”. You may find out that you qualify through a different ancestor you did not even consider. Remember that researching Italian and U.S. vital records, Naturalization Records, acquiring Apostilles and translating U.S. records to Italian can be overwhelming and very time consuming; perhaps outsourcing the whole application may be your best decision for 2019. MY ITALIAN FAMILY has been helping Italian Dual Citizenship applicants for over 15 years. Whether you need a specific document, assistance from “Start to Finish”, fast track your application in Italy or follow the normal process here in the US, My Italian Family can help. More at: www.myitalianfamily.com or call TOLL FREE at 1-888-472-0171.